Most people think sleep training refers to letting a baby cry it out on their own. 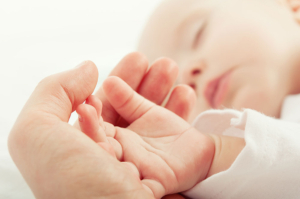 Our nannies observe your babies while they sleep and are able to determine what is causing them to wake up. It is not always because of hunger or needing a diaper change; there are a number of other reasons our nannies will be able to identify in order to aid in the sleep training process. This eliminates the need for cry it out sleep training. Will my nanny help with sleep training? Yes! Savvy nannies follow the babies’ natural sleep patterns and help create a schedule that works for the babies and their families. This, combined with your nanny’s nighttime sleep guidance, will result in your baby sleeping longer stretches through the night. What is important to consider when hiring a night time nanny? You want to make sure to hire a night time nanny that is certified, trained, background checked, and verified to work legally. All of our nannies are extensively trained, thoroughly background checked, newborn care certified, and verified to work legally. Just because someone has children of their own or has worked in a childcare does not make them qualified to be a night nanny. How much does a night nanny cost? There are a wide range of prices, which depend on your family’s needs. We offer an extensive free assessment for every family. We are then able to identify what your specific needs are, and pair you with a nanny that will be the best fit for your family. This allows us to charge the appropriate amount based on your and your baby’s needs, and not a penny more. Please contact us with any further questions. We’d love to hear from you!